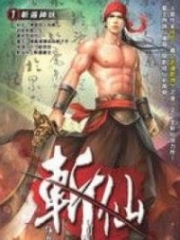 You’re reading novel Trial Marriage Husband: Need to Work Hard Chapter 219 online at LightNovelFree.com. Please use the follow button to get notification about the latest chapter next time when you visit LightNovelFree.com. Use F11 button to read novel in full-screen(PC only). Drop by anytime you want to read free – fast – latest novel. It’s great if you could leave a comment, share your opinion about the new chapters, new novel with others on the internet. We’ll do our best to bring you the finest, latest novel everyday. Enjoy! "This is the first time I've felt the Boss is a normal person..."
"Director Fang, did you invite the two of them here today to show off their affection?" "I'm suddenly reminded of something. LM's jewelry commercial...was President Mo the back-view dream man?" "Then you must have also seen the interview Tangning did with Feng Cai." At that time, everyone thought she was joking. But, who would have imagined, everything she said was the truth. Above all, every single one of them had signed a confidentiality agreement with Hai Rui. Even if they knew insider information, they couldn't reveal it to the outside world. After carrying Tangning out of the club, Mo Ting took her directly home and placed her on their bed. Tangning suddenly opened her hazy eyes, sat up and hooked her arms around Mo Ting's neck, "I haven't been this happy for a long time..."
Mo Ting understood what she was referring to. All along, she had experienced too many underhanded schemes; it had been a long time since she experienced the feeling of having friends. Tonight, there was no jealousy nor calculation, it was simply a relaxed atmosphere filled with trust. "I should have brought you to Hai Rui a long time ago..."
Tangning shook her head as she buried it in Mo Ting's neck, "Without the experiences I've acc.u.mulated, I would not be able to exchange for today's equality. I believe G.o.d has put me through so many tests so that I could receive the best things at the end." "You are a good example..."
Mo Ting gently touched Tangning's cheek and said in a soft voice, "You will be flying to Italy tomorrow. You should get some rest." "Let me hug you for a little longer...I won't be able to see you for a few days." Mo Ting remained silent as he allowed her to hug him. After hugging each other for quite some time, Tangning finally said in a choked up voice, "I didn't have a family, so you gave me family; I didn't have a career, so you supported my career; I didn't have friends, so you helped me find a huge bunch of friends. How could you be so good to me?" Mo Ting did not respond straight away. He knew Tangning appeared strong on the outside like she didn't need anything, but in reality...her sense of security was only a thin layer on the surface. "I'm not trying to prove myself to anyone. In this world, I am simply the person that loves you the most. From now on, there will be no other." Tangning cried tears of joy as she gave Mo Ting a bite before gently kissing the bite mark. "Are you ready to sleep now?" "Uh huh," Tangning nodded her head and lay down. "Do you want to have a shower first?" "My stomach isn't feeling well, I'll bathe tomorrow." Mo Ting didn't say anything. Towards this drunkard he was being 100% lenient. Some people probably couldn't understand how a person could continuously give without feeling tired. The reason was actually quite simple. Once someone truly loved another, they would not want to see anything bad happen to them. They would feel at fault whenever their lover experienced sadness anger or pain. The next morning, Long Jie and Tangning was waiting for their flight at the airport. Afer the Han Xiner incident, the media treated Tangning a lot gentler and were more polite towards her. Even when coming across her at the airport, their words were no longer casual like before. After all, Hai Rui's PR wasn't useless like Cheng Tian's. After dealing with the reporters, Tangning sat in the waiting lounge holding onto her head in discomfort. Seeing this, Long Jie handed her some medicine and a gla.s.s of warm water, "Who told you to drink so much last night? Do you know how worried Big Boss was?" "However, the fact that you are experiencing a hangover means you've finally returned to how you used to be." "You are human again!" Long Jie sighed. She then sat down beside her and stretched out her legs, "From the moment Han Yufan betrayed you, you've been facing the world coldly. Apart from Big Boss, you've put up a wall against everyone and have been endlessly trying to grasp everything in the palm of your hands..."
"Although I quite like seeing you like that, as a friend, I feel you are grasping on too tiredly..."
"How good is it to see you like this now?" Tangning had to admit, all this was because of the confidence from her elevated status. On top of that, it was also because of the sense of security she felt from joining Hai Rui. "You still haven't gotten in touch with my manager?" "Fang Yu told me that your manager will directly meet us at Excalibur Q's interview tomorrow," Long Jie replied casually, "It seems he was already working on something in Italy." Tangning leaned on Long Jie's shoulder ready to have a nap when suddenly a huge commotion erupted behind them. Long Jie stood up to have a look before explaining to Tangning, "It's Star King's model, Qin Yu." Hearing the name 'Star King', Tangning's eyes suddenly flew open as she sat up straight. As she watched the model named Qin Yu enter the VIP waiting lounge, their eyes met briefly before Tangning looked away. Unlike Tangning, apart from bodyguards, an a.s.sistant and manager, Qin Yu was also accompanied by a team of 7-8 makeup artists. Seeing Tangning wasn't traveling with a big team, they a.s.sumed her status in Hai Rui wasn't very important. A model that had previously been blacklisted by Star King, did she think she would be successful by going to a competing agency? "It appears Star King is guaranteed Excalibur Q's endors.e.m.e.nt." "It's still too early to make a.s.sumptions." Long Jie watched as Tangning spoke calmly; she liked her professional confidence. Qin Yu's people originally wanted to bully Tangning as they tried to take all the seats around her. But, Tangning's bodyguards immediately appeared from the entrance; the 4 top-grade American bodyguards stood behind her. Tangning kept a low-profile, but it didn't mean she was easy to bully. Qin Yu and her a.s.sistant looked at Tangning. They no longer had the courage to provoke her as they took a few steps back and clenched their teeth. Star King's combined power, of course, did not compare to Hai Rui's. But, they were an agency specializing in training models. But now, she felt winning against Star King was more meaningful than joining them. You're reading novel Trial Marriage Husband: Need to Work Hard Chapter 219 online at LightNovelFree.com. You can use the follow function to bookmark your favorite novel ( Only for registered users ). If you find any errors ( broken links, can't load photos, etc.. ), Please let us know so we can fix it as soon as possible. And when you start a conversation or debate about a certain topic with other people, please do not offend them just because you don't like their opinions. You're reading Trial Marriage Husband: Need to Work Hard Chapter 219. This novel has been translated by Updating. 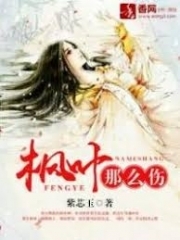 Author: Passion Honey, 百香蜜 already has 6071 views. Current Time is Apr-24-2019 00:04:40 AM.